Mandy crashed into my seaside town with a suitcase and a broken heart. New York royalty with dangerous curves, a sinful little dress, and a tiara perched on her head. She was looking to mend her wounds with just one thing. A night with a big, hard bad boy. So I gave it to her – and I made her every fantasy come true. Women come and go like the seasons in my tourist town. And Mandy? She skipped out faster than any of them. For two years I swore off women, unable to get her out of my head. She was all soft curves, a sassy mouth – a hurricane in a tight dress and a fake diamond tiara. But now little Princess Mandy is back in the town where I rule like a King. And it’s about time I make her my Queen. He told me to call him Big D.
And he was big, in every way – larger than life, my knight on a rockin’ steed. He saved my wounded ego the night I caught my fiancé with another woman. He made me feel things I never dreamed possible. But the next morning, Big D broke my heart all over again – so I ran. A month later, I received some shocking news. Now Big D wants me back – and this is where things really get complicated. 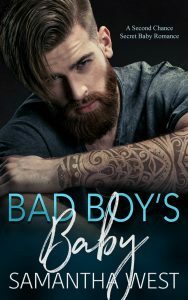 Bad Boy’s Baby is a standalone, super hot, fun, full-length romance novel with no cheating and an HEA that ties everything up in a pretty bow. 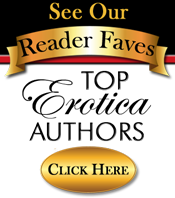 Temporarily discounted to 99 cents!